Christine DiMaria has always had the heart of an interior designer. She started as a child designing rooms in her dollhouse and helping her mom rearrange their furniture. She also grew up enriched with art classes and is now one of the most respected interior designers in Grand Rapids today. The enthusiasm that she had as a child is still so evident in every project she takes on today. Christine’s utmost priority when designing for a client is to understand and anticipate their needs. She creates spaces that enhance lifestyles and reflect personality, making each deign one of a kind. Her expertise and outgoing personality will guide you through the design process with ease. Christine’s signature is her ability to infuse style and inspiration everywhere she goes, no matter what style she is using. From traditional to contemporary, her philosophy is to always make people feel at home, as though their space fits them like a custom glove. Whether it is new construction, remodel, or one room at a time, Christine has worked with some of the best builders and architects in the country. Various projects have taken her all over Michigan, Chicago, Florida, and the Caribbean. Her works have been featured in Better Homes and Gardens and Cosmopolitan Home. In addition to her design career, she also enjoys her involvement with Grand Rapids Student Advancement Foundation and PEO, a women’s philanthropic educational organization. She currently lives in the Grand Rapids area. 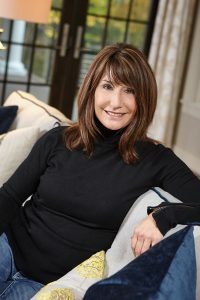 Originally from Kalamazoo, MI, Christine graduated with a Bachelor of Science degree in Interior Design and has over 25 years of professional experience in both residential and commercial design. © 2017 ChristineDiMaria Design. All Rights Reserved.